Additional audio input/output information, for iPhone and iPod touch devices, is now available here. 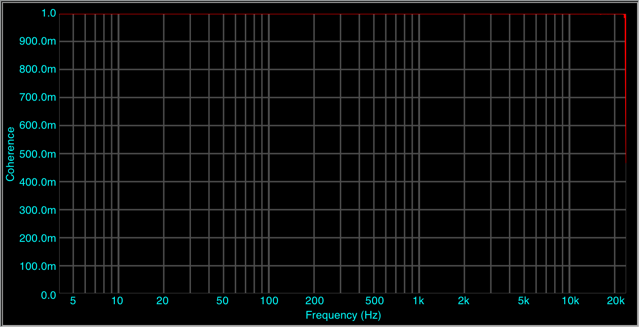 SignalScope Pro turns an iPhone or iPod touch into a powerful audio, electronics, and vibration analyzer. Significant new features include a 1/3-octave real-time spectrum analyzer (RTA), acoustic and vibration measurements, a built-in signal generator, and the ability to save and download measurement data. Feel free to use this forum to post your questions, suggestions, tips, tricks, and experiences regarding SignalScope Pro on iPhone. This topic has been moved to SignalScope Pro. 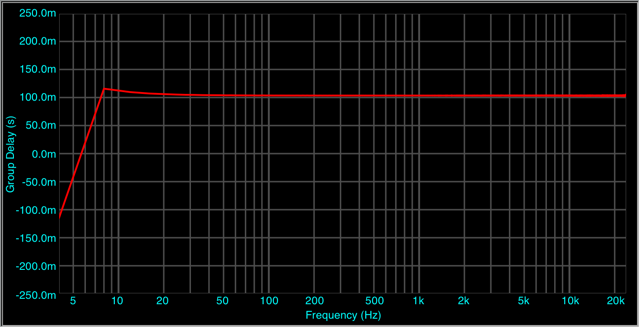 SoundMeter / Welcome to the SoundMeter forum! A sound level meter app for iPhone has been a hugely popular request. Now that SoundMeter is available, you can voice your questions, concerns, praises, and suggestions in this forum. SignalSuite / How good is the iPhone's audio? Check out the new post in Articles for some insight into this question. SignalScope / How good is the iPhone's audio? Articles / How good is the iPhone's audio? The question has been raised, particularly in light of an article that suggested that the iPhone's audio hardware was inadequate to use in testing audio systems. Below are plots of measurements made of the (original) iPhone. These are direct measurements (not post-processed recordings) made of the iPhone with Electroacoustics Toolbox and an Edirol FA-101 interface, using SignalScope's play through feature (on iPhone). 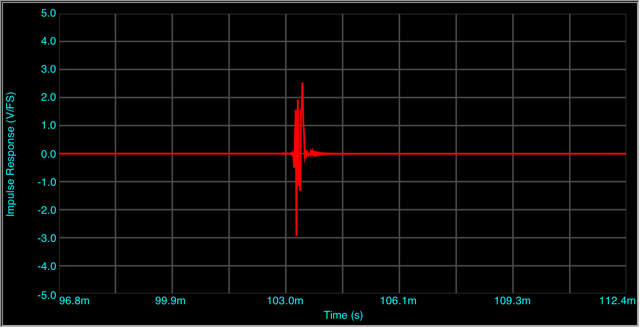 The sample rate of the iPhone and the Edirol interface was set to 48 kHz. These measurements include the response of the iPhone's input and output hardware (via the headset connector). Neither the output nor the input hardware, by itself, should be any worse than any of these measurements. The large amount of delay is due to the fact that the signal is getting buffered inside the iPhone as it gets passed from the input to the output. (For what it's worth, lower audio throughput latency is possible with the iPhone, but at the expense of higher CPU load). The square wave plot is a direct capture of two square waves being generated simultaneously by SignalSuite on the iPhone. Figure 2. 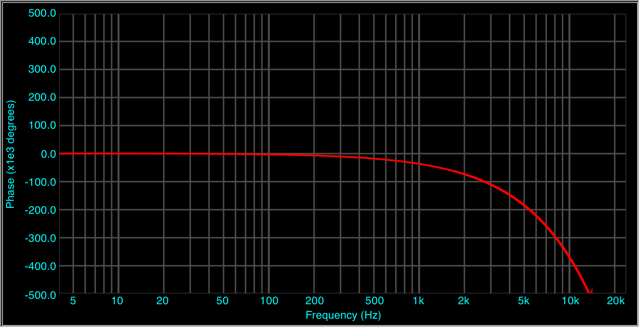 Frequency Response Magnitude. Figure 3. 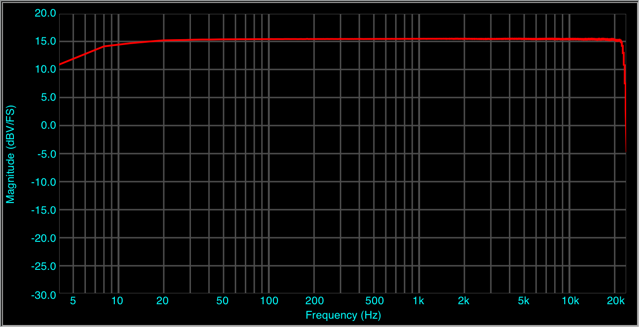 Frequency Response Phase. The phase drops off rapidly because of the large latency of the measured iPhone setup. Figure 4. Group Delay. The delay is nearly constant with respect to frequency. Figure 5. Signal to Noise Ratio. Figure 6. 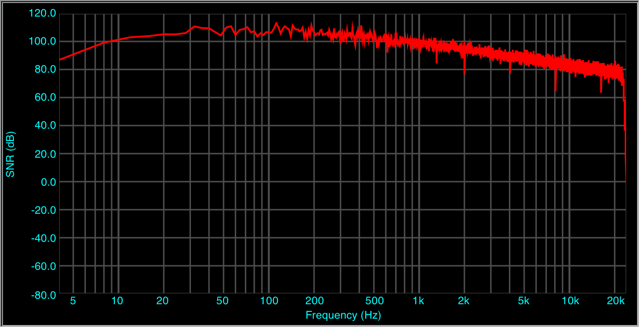 1 kHz and 100 Hz square waves. 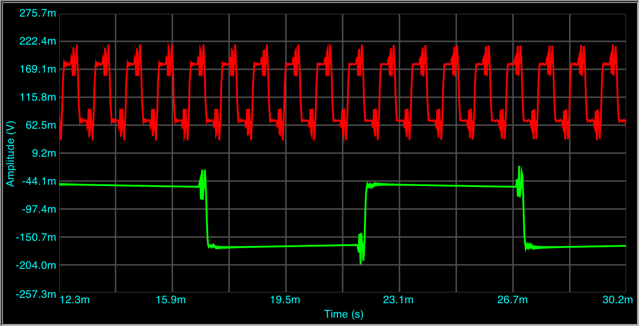 These square waves were produced simultaneously on the two headphone channels by SignalSuite, running on the iPhone. "Unable to check for purchases. An unknown error occurred (-206)." The problem needs to be resolved by iTunes support. If this has happened to you, I'm afraid the best thing you can do is submit a detailed report to iTunes (instructions, here), and wait until the problem is fixed (hopefully, within a day or two). Judging by the discussion boards at Apple's support site, similar problems have occurred recently with other iTunes downloads (like TV shows), and they appear to have been resolved. We're doing all we can to get the right message to the right people as soon as possible to get this problem solved. If you have successfully downloaded SignalSuite, please tell us about it. UPDATE: Sometime on Monday afternoon, July 14, SignalScope and SignalSuite downloads began to work. Thanks for your patience, everyone! If you have successfully downloaded SignalScope, please tell us about it. SignalSuite / Welcome to the SignalSuite for iPhone/iPod touch forum! "^#T(*&#_+$! @ awesome ! Okay, that does it. It's iPhone time for me. That broke the camels' back." The forum topic? "SignalScope on iPhone"
SignalScope / Welcome to the SignalScope iPhone forum! The mobile version of SignalScope debuted in the iPhone App Store on opening day. SignalScope turns your iPhone into a powerful, real-time spectrum analyzer and oscilloscope. Feel free to use this forum to post your questions, suggestions, tips, tricks, and experiences regarding SignalScope on iPhone. Product Sales & Activation FAQ / Do you offer educational discounts? Yes. Currently, discount pricing is offered to qualified education customers purchasing single (or multiple) licenses of SignalScope/Pro, SignalSuite, and Electroacoustics Toolbox. Please contact us for details.